Jutting out into the North Sea just above Germany is Denmark. This small country may be overshadowed by its glitzy European cousins, but its inhabitants have a lot to teach other Westerners about happiness and the art of coziness or hygge. Denmark has been ranked the happiest country in the world in studies going back to the 1970s. “Denmark has been ranked the happiest country in the world in studies going back to the 1970s—so it’s clear that there’s something Danes are doing differently, and hygge plays a big part in this,” says Helen Russell, author of The Year of Living Danishly: Uncovering the Secrets of the World’s Happiest Country. Hygge is a philosophy of life but also as simple as a lit candle. “Simple candlelight is a key component—Danes burn the highest number of candles per head in Europe, and they’re everywhere: from the windowsill of my son’s daycare to shops, banks. Hygge is so crucial to living Danishly that I once saw a camper van driving along the motorway with lit candles in the windows. This is probably illegal, but Vikings don’t tend to be too hung up on health and safety,” Russell relates. While we can’t all emigrate across the Atlantic, we can all try living a little more Danishly—wherever we are—and be happier as a result. Russell offers these thoughts on getting hygge. Hygge is free. Hygge isn’t a commodity and it shouldn’t cost you anything—simple candles are better than fancy scented ones (anyone trying to sell you an expensive, scented hygge candle is missing the point); an old knitted blanket is better than the latest designer incarnation, and hot drinks in mismatched mugs are just fine. Ditto cake, beer, soup—whatever your comfort food or drink of choice may be. Socialize smartly. 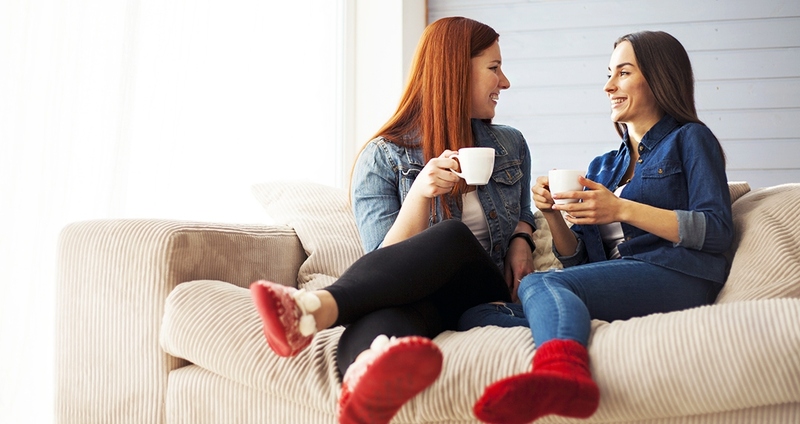 Hygge has a lot to do with togetherness, so it’s about prioritizing your people, cramming as many of the folk you care about around a table and eating, drinking and being generally merry. Self-kindness. Danes don’t binge then purge like we do in the UK and the US; instead they’re kind to themselves, indulging when they fancy it and not depriving or punishing themselves. This makes them nicer to be around, and happier as a nation. For more on hygge, visit the online magazine Simply Hygge.